3,404 – In kilometres, the total race distance of the 100th Tour. 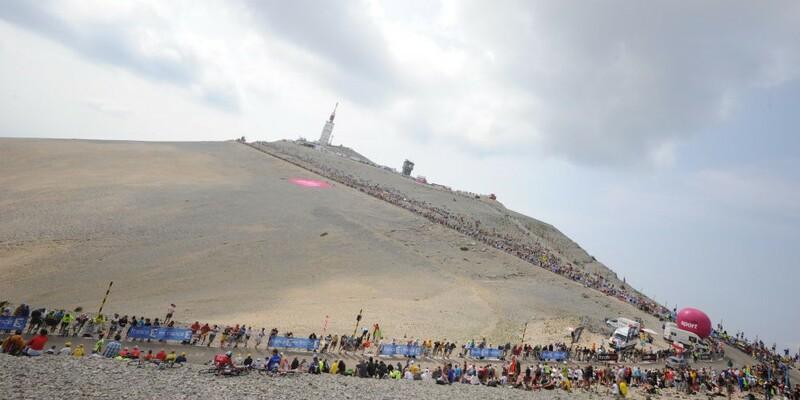 242.5 – The length of this year’s longest stage (to the summit of Mont Ventoux on stage 15). 54 – Number of riders competing in their first Tour de France. 169 – Number of finishers, out of 198 starters. 83:56:40 – Total race time for overall winner Chris Froome, an average speed of 40.55kph. 7 – Nationalities represented in the top ten on GC. Spain was the only country with multiple top ten finishers (four): Joaquim Rodriguez, Alberto Contador, Alejandro Valverde and Daniel Navarro. 2 – Teams which placed more than rider in the top ten: Saxo-Tinkoff (Alberto Contador, Roman Kreuziger) and Movistar (Nairo Quintana, Alejandro Valverde). 4 – Only four riders finished within ten minutes of Froome’s winning time. Just 28 finished less than an hour in arrears. 4:27:55 – Svein Tuft (Orica-GreenEDGE) was the last classified finisher, nearly 4½ hours slower than Froome. 28 – Age of Chris Froome. 4:20 – Froome’s winning margin over runner-up Nairo Quintana. 3 – Stages won by Froome during the race: eight (Ax 3 Domaines), 15 (Mont Ventoux) and 17 (second individual time trial). 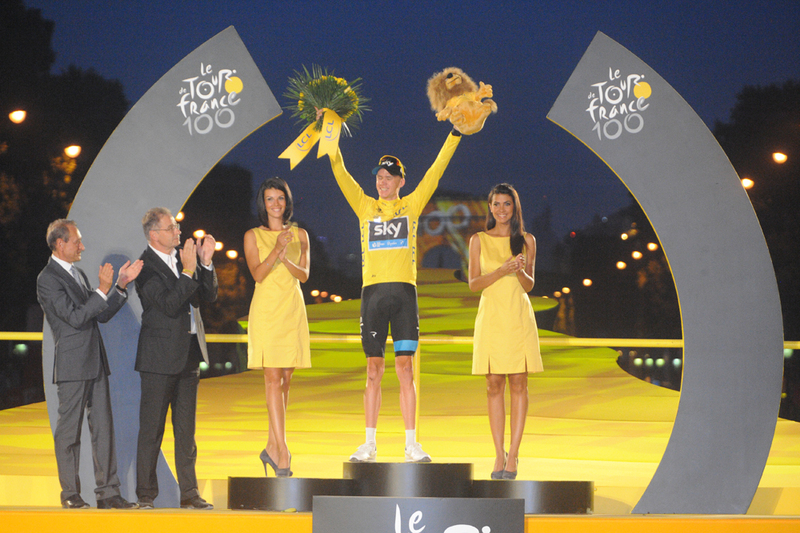 14 – Days in the maillot jaune for Froome – the same as for Bradley Wiggins last year. In both instances, they took over the yellow jersey after the eighth day of racing and held it all the way to the end. 23 – Age of Nairo Quintana. 1 – This was Quintana’s debut Tour de France (and only his second grand tour overall). 1 – Stages won by Quintana: 20 (Annecy-Semnoz). 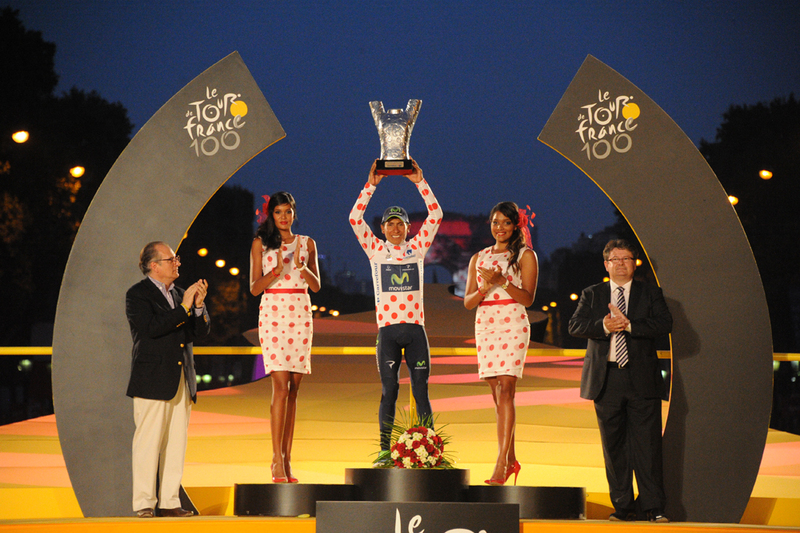 2 – Quintana won two of the Tour’s four major jerseys: the polka dot jersey for the King of the Mountains and the white jersey for the best young rider. This combination has never been achieved in the same Tour before. 13:19 – Winning margin over Andrew Talansky (Garmin-Sharp) in the white jersey competition. 5 – Five riders wore the leader’s yellow jersey: Marcel Kittel, Jan Bakelants, Simon Gerrans, Daryl Impey and Chris Froome. 2 – Only two riders led the green jersey points competition during the race: Marcel Kittel for the first two days and Peter Sagan thereafter. 5 – Number of riders who led the polka dot jersey King of the Mountains competition: Juan Jose Lobato, Pierre Rolland, Blel Kadri, Chris Froome and Nairo Quintana. 3 – Quintana won the white jersey for the best young rider, with Marcel Kittel and Michal Kwiatkowski the only other riders to lead the classification. 13 – Number of individual stage winners (excluding the team time trial). 4 – Number of riders with multiple stage victories: Marcel Kittel (four), Chris Froome (three), Mark Cavendish and Rui Costa (two each). 10 – Different nationalities who won stages: Germany led the way with six, while British riders had five victories. 10 – Only ten of the 22 teams won stages during the race. Omega Pharma-Quick Step and Argos-Shimano both had four, while Sky and Movistar had three each. 2 – No rider won consecutive stages, but two teams managed the feat: OPQS (Mark Cavendish and Matteo Trentin on stages 13 and 14) and Movistar (Rui Costa and Nairo Quintana, 19 & 20). 3 – German riders won three consecutive stages (10, 11 and 12): Marcel Kittel, Tony Martin, Kittel. 6 – By winning stage five, Mark Cavendish became the sixth rider in Tour history to win stages in six consecutive years. He is only the second man to have won multiple stages in six consecutive years (also Nicolas Frantz). 1 – Christophe Riblon (stage 18) was the only French winner at this year’s Tour, after ‘home’ riders claimed five victories in the 2012 edition. 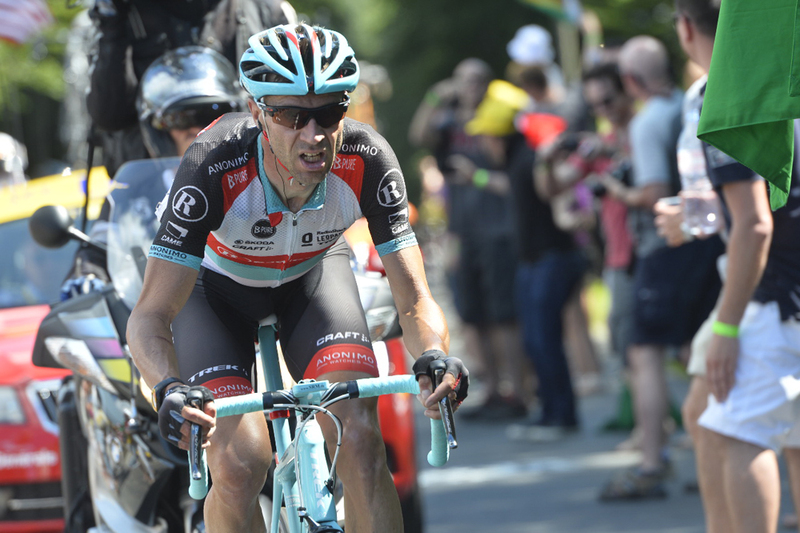 41 – Age of Jens Voigt (RadioShack-Leopard), the oldest rider in the race. 19 – Age of Danny van Poppel (Vacansoleil-DCM), the youngest rider in the race. He finished third in stage one, the youngest rider to finish top-three in a Tour stage for 82 years. 36 – Age of Orica-GreenEDGE’s Svein Tuft. The eight-time Canadian time trial champion and former World Championship TT runner-up was riding the Tour for the first time this year. He had the distinction of being the lanterne rouge, the last-placed finisher on GC. 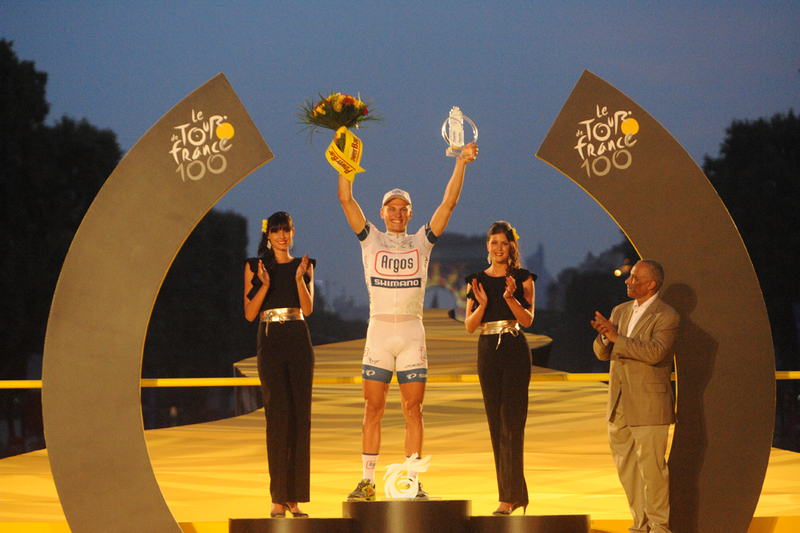 34 – Sylvain Chavanel celebrated his 34th birthday on stage two, which he started in 34th position overall. 1 – Number of buses wedged under finish gantries (stage one, of course). 17 – Stuart O’Grady made his 17th Tour start (tied for the most ever with George Hincapie) and recorded his 15th finish (tied for second all-time). He announced his retirement after the race. When O’Grady raced his first Tour in 1997, Vacansoleil’s Danny van Poppel was still three years old. 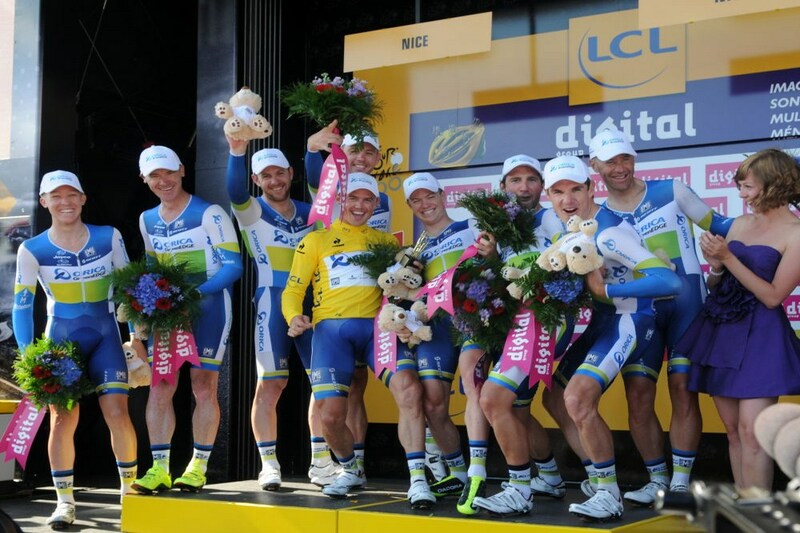 1 – Simon Gerrans’ win on stage three was the first ever Tour victory for an Australian team. They doubled their tally the following day by winning the team time trial. 57.8 – In kph, Orica-GreenEDGE’s average speed in winning stage four’s team time trial – the fastest ever in any of the three grand tours. 1 – Daryl Impey took over the yellow jersey from teammate Gerrans on stage six, becoming the first South African rider ever to lead the race. He held it for two days. 1– Number of AC/DC tribute videos released during the Tour. 6 – Adam Hansen (Lotto-Belisol) has started the last six grand tours, dating back to the 2011 Vuelta – and finished them all. 2 – In successfully defending the green jersey, Peter Sagan became the first rider ever to win the points competition in each of his first two Tours de France. 2 – By finishing third, Joaqium Rodriguez became only the second rider (after Herman van Springel) to finish on the podium of all three grand tours without winning any of them. 5 – Five must be Mark Cavendish‘s lucky number. Cav’s first win came on stage five – the fourth time in six years he has opened his Tour account on this stage. 12 – Marcel Kittel became only the 12th rider in Tour history to win both the opening and closing stages in the same year. The previous man to do so was Thor Hushovd, in 2006. Some information courtesy of infostradalive.com and Cillian Kelly @irishpeloton.